The moth, known as Rubin in Maltese, can grow up to 20mm. Its two forewings are dark brown while its hind wings are reddish-pink. On their forewings, they have a black spot, while on their hind wings they have about four spots. 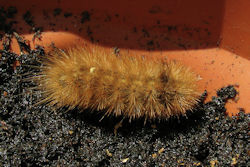 Its caterpillar is very hairy. 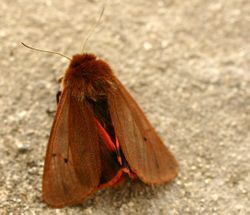 The Ruby Tiger Moth is very common throughout the Maltese Islands.